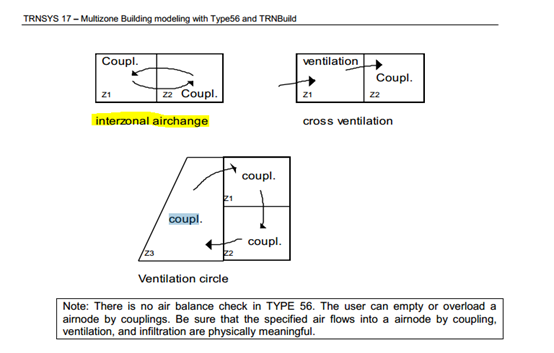 [TRNSYS-users] Setting "front / back" coupling for interzonal airchange in type 56 - TRNFLOW interaction? Previous message: [TRNSYS-users] Setting "front / back" coupling for interzonal airchange in type 56 - TRNFLOW interaction? Next message: [TRNSYS-users] Setting "front / back" coupling for interzonal airchange in type 56 - TRNFLOW interaction? R_107) you have to define that separately in zone R_107. surface of the wall is in a given zone. 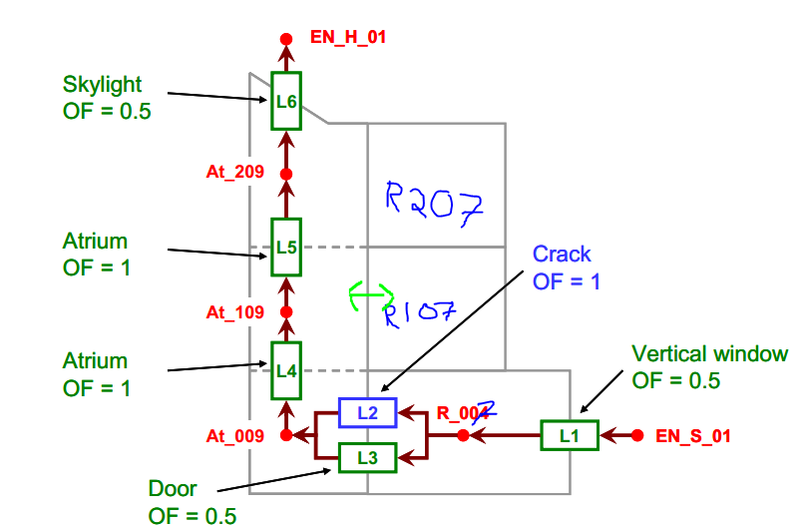 > I could not find an explanation on the coupling "front/back", see below. > it would make sense to link it? > Any help highly appreciated!! !